Fishman has been testing and flying his ElectraFlyer-C and believes he may have in this aircraft a single-place experimental that can fly at about 70 mph for up to one hour on batteries alone -- provided the pilot chooses to land with a half hour's power in reserve. Maximum endurance under power (calculated, and to be proven by further flight testing) is expected to be near 90 minutes. Fuel cost for that flight? Less than 75 cents. The aircraft is scheduled to be front and center at AirVenture Oshkosh this year, but Fishman told AVweb last week that his eyes are on a bigger prize -- a larger, more powerful, electric Light Sport Aircraft. 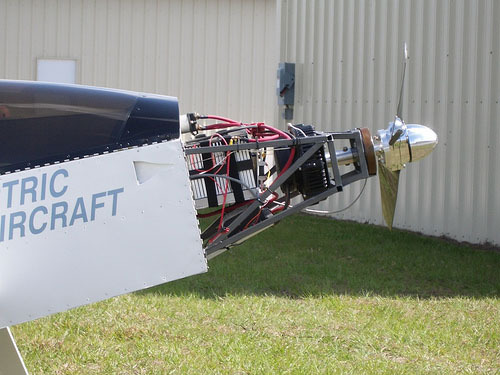 Fishman's goals include plans to offer a 40-hp electric motor, plus a controller and battery solution for use in highly efficient light sport aircraft ... pending approval of and standards for electric motors in LSAs. He's currently seeking sponsors, and the manufacturer of a highly efficient, very lightweight airframe with which to partner. Until then, expect Fishman's ElectraFlyer-C to be on display this year at the epicenter of AirVenture Oshkosh -- AeroShell Square. Fishman told AVweb over the weekend that, for now, interested customers should also be interested experimental aircraft builders. He presently supplies "the complete electric propulsion system and battery packs for builders to apply to their projects," plus the support of his knowledge. He does not yet offer a turnkey solution to your electric-flight dreams, unless you're interested in trike flying. As it is, Fishman's ElectraFlyer-C is the pairing of his 29-pound, 18-hp electric motor and regenerative-braking-capable controller package with two lithium polymer battery packs (that together weigh 78 pounds), adapted to an airframe that began life as a Moni motorglider. The Moni is a highly efficient all-aluminum (and discontinued) design with an 18:1 glide ratio and a 27.5-foot wingspan. 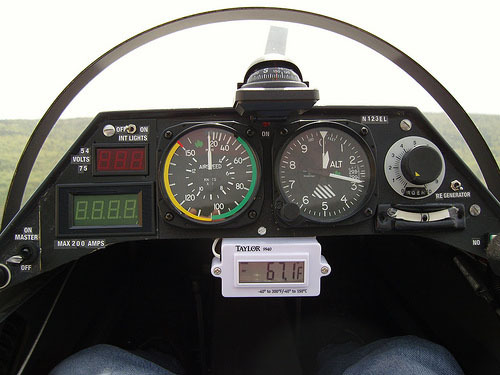 Fishman says his highly modified version, registered as the ElectraFlyer-C, weighs in at just under 380 pounds with "full fuel," offers a confirmed 60-percent increase in thrust over the Moni, has made engine reliability a non-issue and practically eliminates vibration and engine noise. By AirVenture, Fishman believes the ElectraFlyer-C will have proven it can climb at better than 500 fpm, cruise at 70 mph, stall at 45, and fly under power for approximately 90 minutes (or 60 minutes if landing with the equivalent of a legal day VFR fuel reserve). A portable 110-volt charger can refill the tanks (as it were) in about six hours and more powerful chargers (220 volts) can do the job faster (two hours) where suitable outlets are available. NOTE: According to Fishman, following the first test flight, pilot Joe Bennis' first words were, "I want one." And after speaking with Fishman last week, it seems one person making the trip to Oshkosh this year just might have that option. All content copyright J. Glenn Pew, 2008. Not for use without permission.